Tonight, the 2018 Gateway Dirt Nationals gets underway. The Thursday night program features the Race of Champions main event in the dirt late model division paying $5,000 to win. The dirt modifieds have a round of heats. Additionally, the dirt midgets have a few practice rounds on deck. Scott Bloomquist had issues during has qualifying run. He was a full 2 seconds off the pace. The team says it was a fuel pressure issues. Randy Timms also had issues. Timms lost a driveshaft during his laps. Tanner English was quickest overall in Group A qualifying. He turned circled the track at 11.119 seconds. Bobby Pierce was quickest overall in Group B qualifying. He circled the 1/5-mile oval at 11.276 seconds. Pierce and English were the two drives battling for the win last year. Next, it’s a 20-lap main event. The field of drivers will race for $5,000 to win. This race is not related to the rest of the weekend. It’s a one-off special race for the Thursday night program. 13 drivers will take to the 1/5-mile oval. The starting lineup was set by pill draw. Rusty Schlenk and Jonathan Davenport lead them to the starting line. Green flag, Schlenk and Davenport run even at the line. Their even off turn two and still even off turn four. Spin at the back. The caution is out. Green, they’re door to door again. The run side by side for a full lap. Schlenk noses ahead as they head back into turn one. McCreadie and Babb are the only cars around the top. Everyone else is on the bottom. Mechanical failure for McCreadie, he comes to a stop and brings out the yellow. Green, Schlenk leads into turn one. 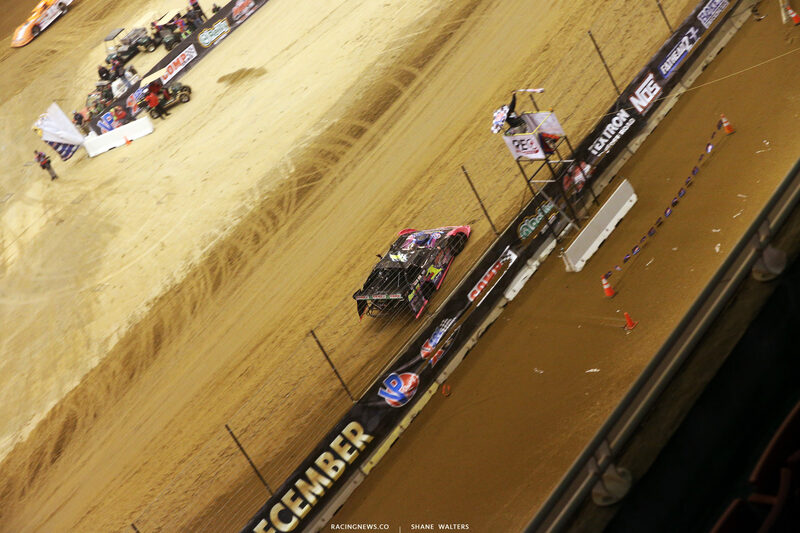 Davenport and Bloomquist bang doors at the start finish line. 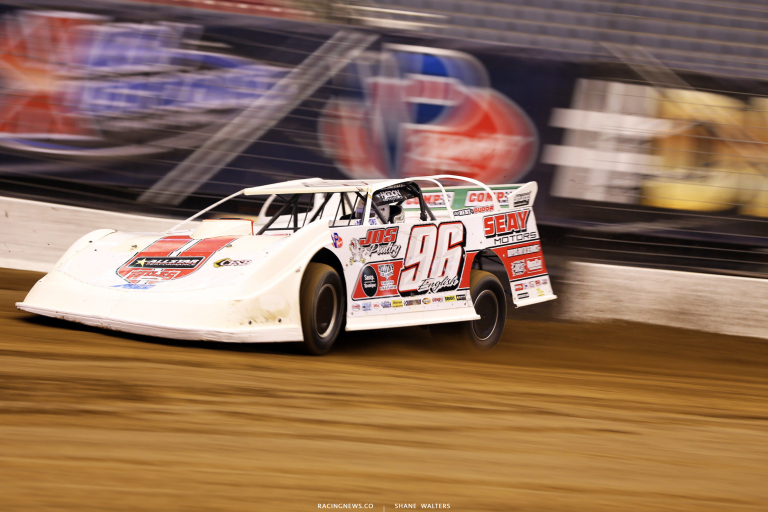 Bloomquist runs wide in turn one. He’s off the gas. Bloomquist heads to the infield. They remain green. Lap 14, Moyer is around in turn one. The caution is out. Green, Schlenk is driving away from Davenport. He leads by 2 car lengths. Schlenk wins the 2018 Race of Champions in the Gateway Dirt Nationals! 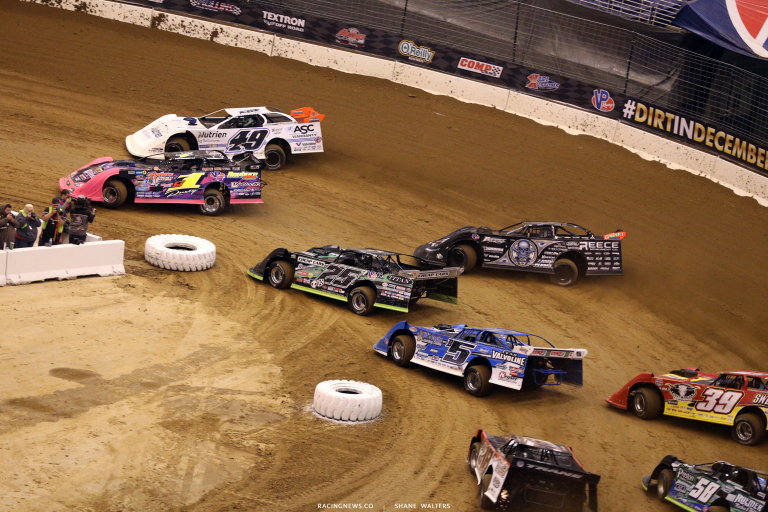 View full 2018 Gateway Dirt Nationals results from Thursday below.